Today I will be talking about comics. Not the funnies you find in the Sunday paper, but honest to god comics. The comics that have heroes and villains, the comics that speak to us on a level that no other form of media can. These types of comics became popular during the Great Depression, a time when our country desperately needed a distraction, and even more so, hope. As these stories evolved so too did the illustrations until, eventually, they took on a form rivaling that of actual modern art. I know there is a stigma against comics that make people think they are only for nerds or children, but after you finish reading this feature, I am sure you will have a change of heart. I will teach you about the cultural significance comics can have, a couple of superheroes that have leaked into everyday life, and lastly, you’ll get a little background on how comics are making their way out of print. Let’s start with the bread and butter of modern comics; the superhero archetype. We all know it well, the burly men who bust down doors and thwart evil doers, but it goes so much deeper than that. These ‘heroes’ are actually complex beings that, for all the power they have, are still more human than some of the people that read about them. A great way to introduce someone to a hero that is not of your average caliber is by introducing them to Captain Marvel. Captain Marvel has her roots all the way in 1977 when she was still Ms. Marvel. Fast forward past the campy days of the eighties and we will see her as the complex Captain Marvel we see now. Yeah, she can punch things and deliver one-liners like any hero, but do you know what else she can do? She can also be the face of a progressive movement to make a female superhero become the face of a franchise. Not only that, but while she is practically a god; she also suffers from severe PTSD and anxiety. This is a hero that our world needs today; someone that is not only relatable but also progressive. On the flip side, I’ll introduce someone a little more commonly known; Superman. Superman first debuted in 1938, a time when our country was just coming out of the Great Depression. He was the embodiment of all the great American values that people needed to be reminded of. Superman always stuck up for the little person, never compromised his integrity, and most importantly, he never discriminated against anyone. As Superman himself is an alien, he knows all too well what its like to be discriminated against, and as such, he has been seen multiple times over the years advocating against racism and imploring our children to always see someone’s character rather than the color of their skin. These superheroes, though worlds apart, are just the tiny tip of an iceberg that is full of inspiration and values that transcend generations. Now we can get into something a little grittier. Comics were more than just a way to convey hope and integrity to younger generations, they were also a way to reflect and parody the culture around them. The Watchmen was a popular series that was published between 1986 and 1987. This series, while entertaining, took the problems and tragedies of the time and brought them into a dark light. This series tackled the problems of that generation. It used its heroes to parody the Vietnam war and portray a type of American government that many feared. A government that would employ superpowered beings to exterminate anyone who would stand in its path. Moreover, it tackled the rising atomic issue with the end of WWII still fresh in every American’s mind. The series even looked at homosexual relationships and how they were treated by the country at the time. The images shown in the comic were nothing compared to what happened in real life. It showed if one was so put off by these issues in a comic, why would they let these same issues run rampant in the real world? Another, and more recent, comic book series that brought the problems of society to light was the ever-popular Marvel’s Civil War. Vastly different from the movie that recently came out, this comic was made hot on the heels of a horrible terrorist attack on 9/11. More to the point, it was also hot on the heels of the controversial Patriots Act. Just like the American citizens battling with the idea of giving up their right to privacy for the good of national security, so too did super heroes have to choose between giving up their secrets to ensure a safer world. In this series we see Captain America, the literal embodiment of patriotic spirit, having to go underground as a wanted criminal for the sake of protecting the secrets of other heroes. Even in more recent times its not hard to find a comic that is relevant to current events. Whether it be the increasing mental health issue, the obvious racism and sexism that is still prevalent, or even some of the good things we see ordinary people do, comics will always be a mirror to our society. Even though comics are tremendously fun to read, they are very expensive to keep up with. In fact, I have a collection that I’ve spent roughly $3,600 dollars on over the course of four years. So, if you are interested into getting into the world of comics without the price tag, I have a couple of recommendations for you! What’s better than seeing your favorite superheroes battle it out on paper? Try, watching them battle it out on the big screen! Though there has always been superhero TV shows and movies, the technology of the time just left it feeling a bit odd. But, thanks to the wonders of modern-day technology, Hollywood is finally able to do our super heroes justice! The first thing that always comes to mind when thinking about comics on the big screen is Marvel. 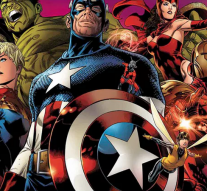 Marvel was bought by Disney and has since taken the corner on the superhero market. The Marvel Cinematic Universe is a breathtaking endeavor that keeps giving the fans what they want. The franchise first started in 2008 with the first Iron Man film. Since then, Marvel has come out with some 20 feature films, with the most recent being Ant-Man and the Wasp. So, if you can spare enough money to rent a movie for a night, you can dive into comics from the comfort of your couch. And don’t worry, the movies are just as good as the actual books! Although, not all the movies compare to the comics with some fans. After Marvel opened an entire cinematic universe, D.C. (Detective Comics) had to play catch up to not miss out on this great opportunity. D.C. comics is known for great super heroes such as Superman, Batman, and Wonder Women. And while they were doing great in pushing out small animated films, they never quite got on to the feature length train. Unfortunately, after they started, they quickly realized how far behind Marvel they were. It was for this reason that their movies and cinematic universe suffered. D.C. tried to do what Marvel did over the course of 20 movies in just three. While I, for one, do enjoy D.C., I must say the ball was dropped for the movies they made. While some will advocate in their defense, many will agree that the D.C. cinematic universe is lack luster at best. However, there is one shinning star in the mess that I implore everyone who wants to get into comics to watch: The Wonder Woman movie. For whatever reason, this film stood out to as on par with any good Marvel movie. Wonder Woman has every element of a good comic, and a good movie. I hope I taught you a couple new things about comics with the information I have given. More importantly, I hope I showed you that comics are not just for nerds, but for anyone who is interested in a good read. Besides, nerd is definitely “in” these days. I want you to remember that these heroes are more human than some of us regular folk. And when you finally do pick up a comic, I hope you can read between the lines to see if you can find our culture inside those pages. And lastly, if you don’t have the time or patience, remember, you can always watch a movie to sate your comic interest. If someone becomes interested in reading comics, I recommend catching up on the original Marvel Civil War series, The Life of Captain Marvel series, and if you’re looking for something with a little more whimsical, I recommend Tank Girl! Thank you for reading, and as always, Excelsior! R.I.P Stan Lee, your legacy has forever changed my life and will continue to change the lives of generations to come. Thank you for making those who are different, feel special.